In 1987, Shinji Wajima and Kenichi Suzuki went to the same high school and formed the band. The band concept was to put Japanese lyrics over British hard rock sound from the 80’s which they used to cover, such as BLACK SABBATH. 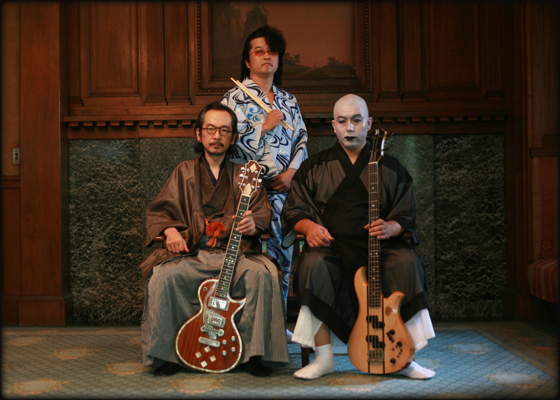 They incorporated their local traditional elements including Tsugaru dialect and Tsugaru Shamisen playing method, which leads to the formation of their distinctive sound. In 1989, they appeared on TBS’s “Heisei Meibutsu TV Ikasu Band Tengoku” . Not only their music but also their unique appearance created a big buzz. In July 1990, the band made their major label debut with “Ningen Shikkaku” and in 1992, released ”Ougon no Yoake”. Later in 1993, “Rashoumon” was released. “Odoru Issunboshi” was released from an indie label “Odoru Issunboushi” in 1995, followed by a cartoon “Mugen no Junin” ‘s image album released by Pony Canyon. In February 1998, the 7th album “Taihai Geijyutsuten” was released. In 2003, their 11th album “Shurabayashi” was released, during which time the band went through several drummer changes. After Nobu Nakajima from Domingos joined in June 2004, the band released “Sanakudouchu Hizakurige”. In February 2006, “Chihoukyo” was released, followed by “Manatsu no Yo no Yume” released in August 2007. In 2009 January, for their 20th anniversary , the band released the best album in January and released a new album “Mirai Romanha”. In January 2010, their first live album “Shippudotou ~Ningen-Isu Live ! Album! !” was released. In August 2011, “Higan Reisan” to express the steps from the earthquake’s disaster. In May 12th 2013, they shared the stage of “OZZFEST JAPAN 2013”, an international rock event with BLACK SABBATH, which they respect. 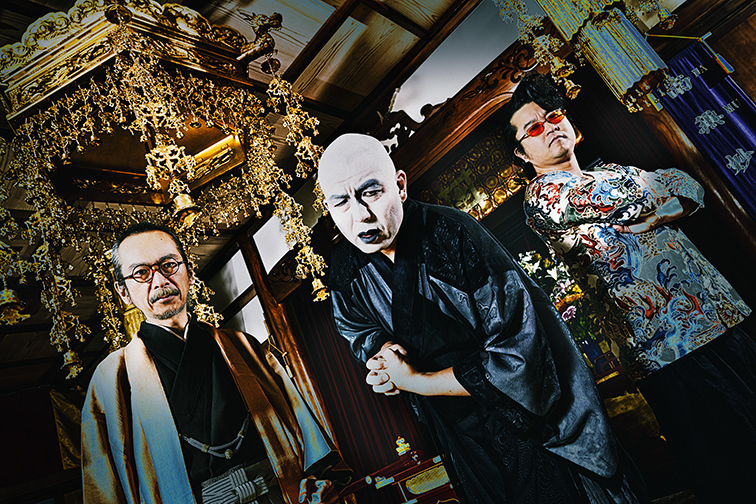 In June 2014, in order to celebrate the band’s 25th anniversary, they released their 22nd album “Burai Houjyo”.